This weekend is Aviation Day which means a day full of vintage aircraft, hanging out in a 1949 DC-3 and dressing up in vintage clothes. Every year my family volunteers at Aviation Day at the Pain Field Airport, and even though I really don't have much of an interest in planes, it's still one of my favorite things. I'll be a docent for the Historic Flight Foundation's DC-3, which has been painted up as a 1949 Pan Am plane. Last year I made a pair of 1940's trousers a top for with them and to change things up a bit I've decided to make another top. 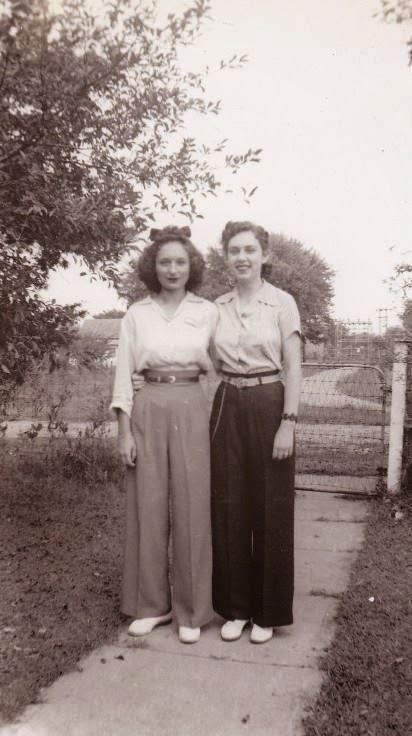 Here's some of my inspiration. I don't know what the style is actually called other than a button up blouse, but I wanted something simple, with short sleeves and a collar. After doing a bit of research I was finally able to find a pattern for the style of top that I wanted. 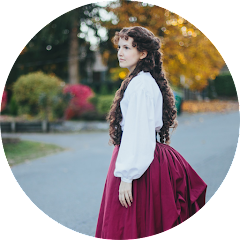 Sense & Sensibility Patterns Romantic Era Blouse pattern works perfect for a 1940's top if you give it short sleeves. Since I only have until Saturday and since I'm busy on both Thursday and Friday I didn't take a lot of time to get the perfect fabric and I decided to get a plain yellow cotton. 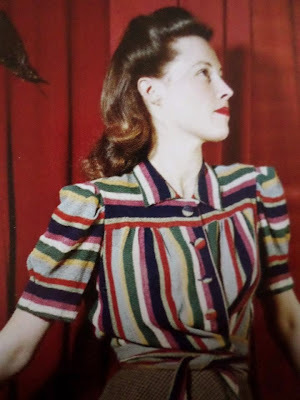 Thanks to The Vintage Dancer for her post on 1940's fabrics. I've already made my mock up, which for some reason was extremely large (probably due to it not scaling up correctly when I printed it since I got the e-pattern, but it was an easy fix) and am getting ready to make the real deal as soon as I finish up this post. So I'll see y'all later, hopefully with a mostly or completely finished blouse.